huge thanks to @chef1 for setting this up. 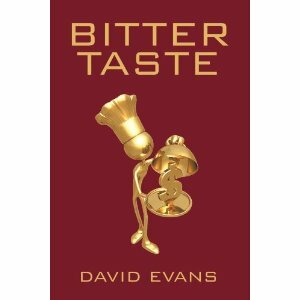 ‘Bitter Taste’ by David Evans. Having made his name at one of France’s best rated restaurants, Jack Kennedy-the main character in this novel- makes the most of an approach by a wealthy socialite who wants Jack to set up and front a new restaurant in Mayfair. The place quickly becomes the most talked about venue in London and Jack thinks great things are abound. However Charles-the restaurant owner- decides to turn the restaurant into a private members club where Jack’s dreams of becoming the youngest chef to win three Michelin stars are shattered. Having buried his own (and his wife’s) life savings into the venture, Jack is tied to the business, but he soon puts into place a plan to sever all ties and come out of it smelling of roses. Unfortunately for Jack, his extortion plans don’t go exactly to his script. This is the first novel by David Evans, and his second is already in the pipeline, and I can see him carving out a tidy niche for himself in this genre. Characters are well defined, the story breezes along at a fair pace, and there is more than enough kitchen information to let you know that this guy is writing about a lifestyle and industry he knows very well. Some of the tales of Jack Kennedy’s early career which are relayed to you through a series of flashbacks could quite easily be autobiographical such is the detail and clarity. Indeed many of them including making his fingers bleed after prepping three boxes of live crayfish brought back memories of my own humble beginnings in a 2-star place in the early nineties. there is also a very obvious kitchen humour to a lot of it, which I hope won’t put off non-chefs from reading it as it very truthfully illustrates how us crazy folk get through the long, poorly conditioned days in hot sweaty kitchens with an ensemble of lovable rogues with varied histories and kitchen horror stories to tell. All in all I would thoroughly recommend this book to anyone, chefs or otherwise as it is humourous, interesting and well structured. I look forward to reading the next novel from Mr Evans- ‘Sour grapes’. since this review, David has very generously shared the opening few chapters of his new book (which has only just gone to the publishers) with me. Just as soon as i can get my time sorted to browse through it, i will share my thoughts on that too.